Ode to an ear jacket | What would Audrey wear? Meet Lisa, everyone! 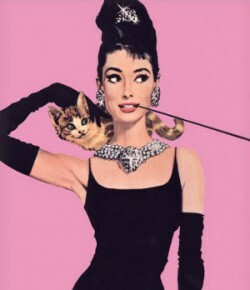 She’s an awesome woman I met last month, and she’s training to be a style coach with What Would Audrey Wear? I’ll introduce her more formally soon, but first here’s her first blog post about her current favourite accessory. Enjoy! Spring is here and floral print and gorgeous pastels are everywhere! 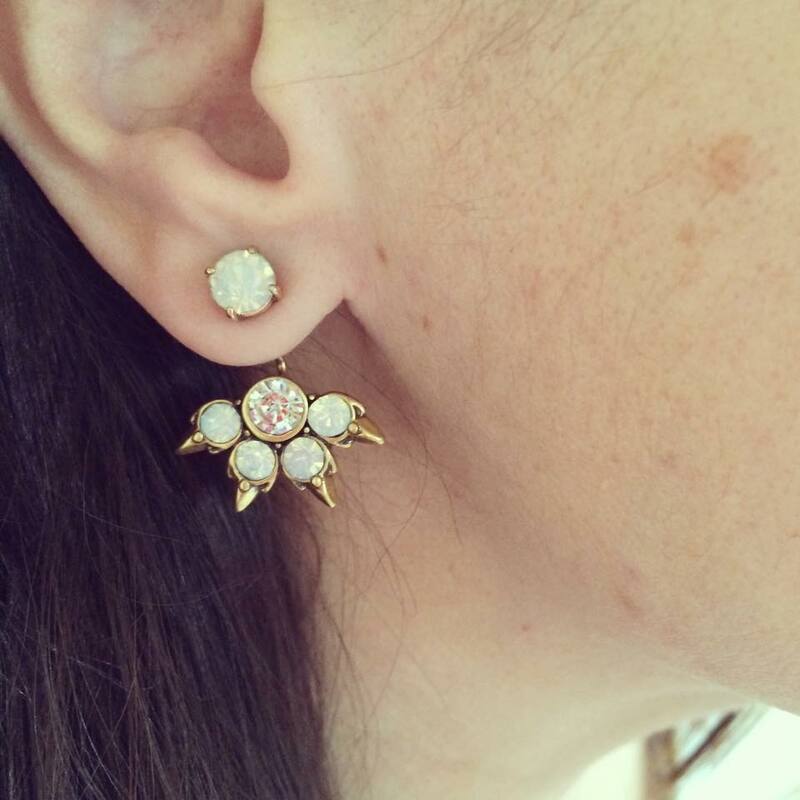 These gorgeous little ear jacket earrings encompass all of the above plus versatility!! As a mom on the go I love anything that does double duty and these little beauties can be worn 3 different ways. Always a lover of chambray anything, I love how these earrings dress up a simple tunic and dark skinny jeans. I say skinny loosely (literally) as I will only wear them if they have a LOT of stretch. 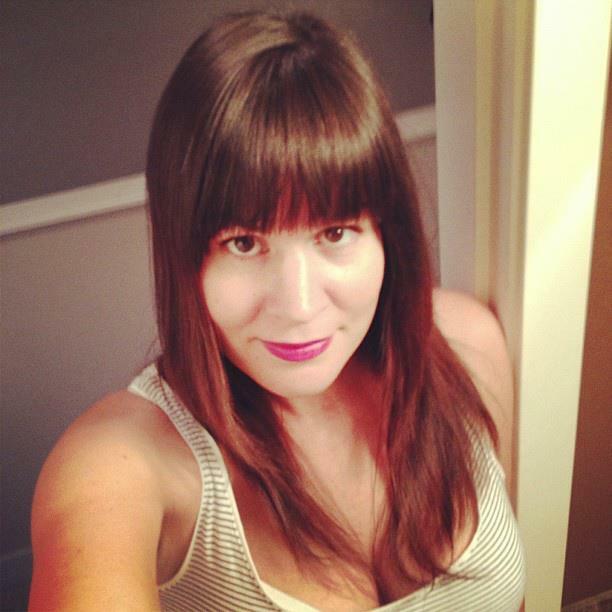 I love stretch just as much as I love versatility! 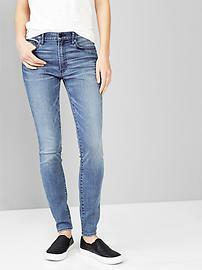 On that note GAP has some fabulous new Skinny Jeans with a high waistband: jeans after this new mom’s own heart! But I digress; back to the earrings. Worn long or as a triangular stud or a circular stud these are a really an earring to carry you through this season and beyond. Today I think I shall pair them with my new pink manicure and a white T-shirt and boyfriend jeans as I navigate my way through the day!